An Audi has a featured role in Ridley Scott’s upcoming film, Alien: Covenant. But it’s not a car. 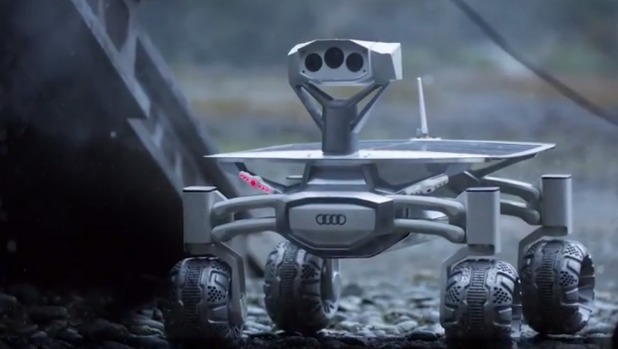 It’s the Audi lunar quattro moon rover, hitting silver screens worldwide this May. And guess what – it’s the real thing, actually developed in co-operation with the German start-up “Part-Time Scientists” for a future mission to space. The Audi rover is on board the colony ship Covenant, bound for a remote planet that turns out to be “a dark, dangerous world,” Audi says. The rover is “an integral part of the Covenant mission” and deployed to help one film character navigate and assess the new planet.